This just might be the year of witchcraft—a unique ode to female affirmation that has gotten airplay everywhere from The New York Times to right here on The/Thirty. In the age of both #MeToo and empowerment by way of self-care, it's not difficult to surmise why this emphasis on ritualism and sisterhood has surfaced as a major trend. Even if you don't necessarily subscribe to pentagrams and blood rituals—which we'll admit is totally fair—one universally applicable takeaway from this witchy sensibility is the invitation to consider your own magic. Introspection can be facilitated in many ways, and sometimes burning a little incense and flipping through a book of self-care "spells" is the way to get there. Find all the covetable tools for every member of your coven below. Mark our words: After lighting up this organic sandalwood powder, you'll never look at incense the same way again. Bonus: Each jar contains a healing crystal to help amplify the vibes. Whether you're looking to attract general abundance or just want to rethink your self-care habits, this wellness-oriented witchcraft book has a ritual for you. For all members of the #SeriousBathersClub: These stones were curated around the moon cycle to give your bath a ritualistic boost. This mystical votive is inlaid with quartz crystals for a decidedly witchy aesthetic. The leather and driftwood scent is top-notch to boot. Doesn't your incense need a home? 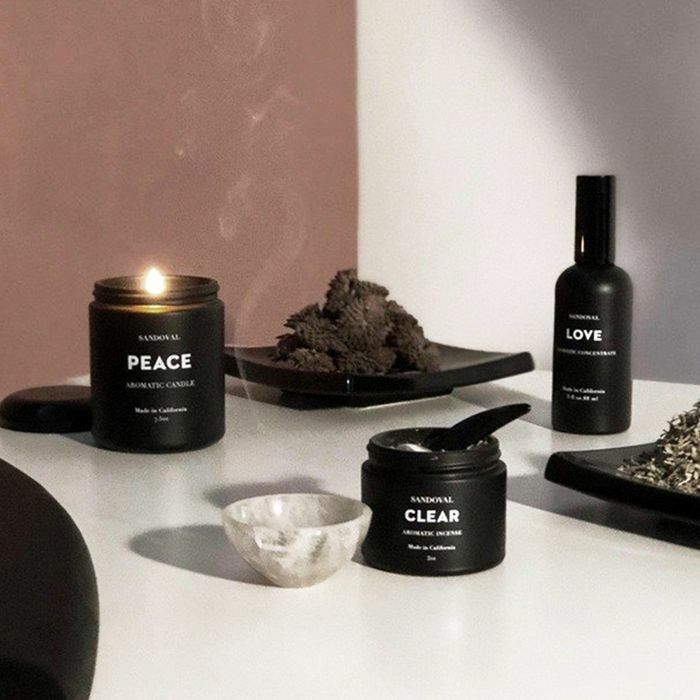 These highly Instagrammable stands are great for smoldering palo santo, sage, and nag champa. We're huge fans of Rachel Howe's minimalist illustrations and wise astrological insight on Instagram. Take it home with her tarot deck, complete with an extensive guide if you're a newbie at pulling cards. Aren't sweet dreams the perfect stocking stuffer? These crystal wands deliver magic by way of a sparkling complexion: They're facial massage tools designed to boost circulation, firm up your muscles, and help your products penetrate more deeply into your pores. Would-be botanists will learn a lot from this plant-themed tarot deck, which explains the medicinal applications of several different herbs. Next up: 11 perfect gifts for the super-foodie in your life.